Composed by Thomas Fettke. Sacred Vocal. Lillenas Publishing Company #9780834199750. Published by Lillenas Publishing Company (LO.9780834199750). 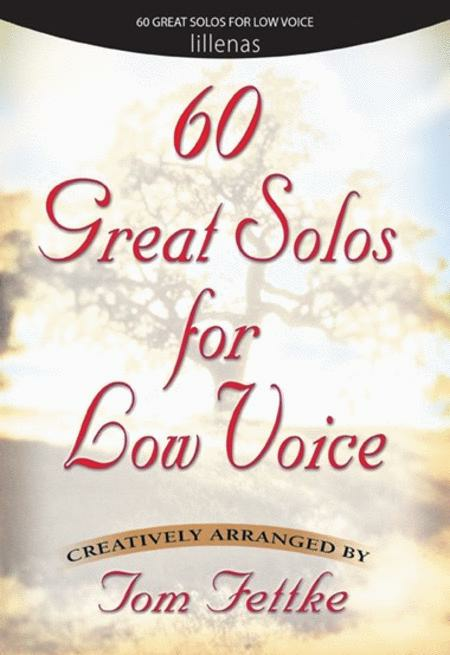 Tom Fettke offers this useful compilation of low-voice solos for basses, altos, baritones, and contraltos Set in a variety of styles, including traditional, contemporary, and gospel, you'll find solos for both general-use and seasonal needs. He'll Understand and Say, "Well Done"
below that is the piano treble/bass part that does not play the melody, but plays pretty arrangements around it. 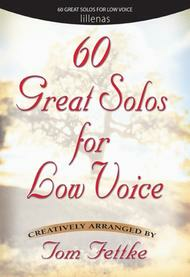 If you want to both personally sing and play from this book, you might have difficulty trying to read the words and the accompaniment at the same time, as your eyes will have to jump from the lyric line and then down to the accompaniment line. This is not taking away from the quality of the book, just want you to know what to expect. I would recommend this book.